My husband, who is an English teacher during the school year, is home for the summer. And, I try as much as I can to give him some moments of peace and quiet at home during the first couple of weeks (plus, in the summer he works a lot on his songwriting method called ChordDice and although squeals of laughter are fun to hear, they can also be kind of distracting)! So, one day I took my boys to a McDonald’s close by to adventure in the play area… my toddler has just gotten to the point where he can navigate the entirety of the slides and mazes without my help so it’s kind of relaxing for me! Typically when we go play at a place like McDonald’s, I’m a mooch that doesn’t buy the kids food… we just play. Yeah, yeah… I’m THAT mom. Haha! But this time I had planned to get them some pancakes and leave it at that; although, having a toddler I have learned my lesson many-a-time that he will probably not eat whatever I plan on him eating when we go somewhere. So, I always bring backups. 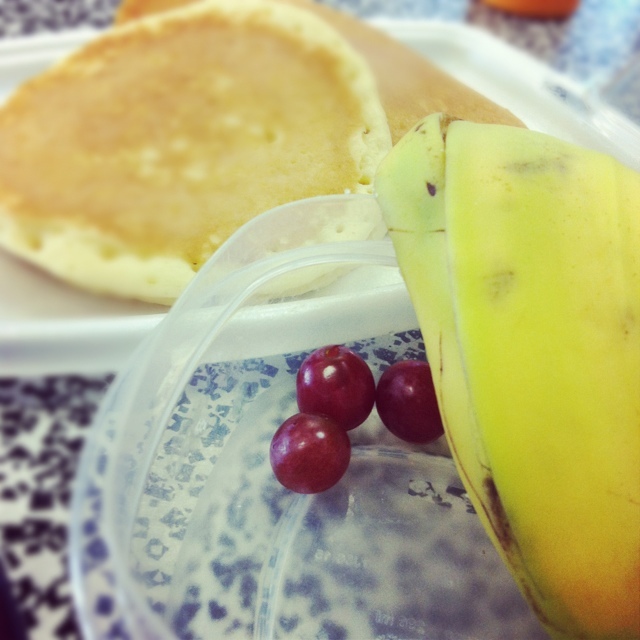 This particular day, I brought grapes and strawberries and a banana in case he didn’t want pancakes, but I didn’t anticipate using it… I mean, what kid would choose grapes over pancakes?!!? But sure enough, he didn’t eat a bite of pancake but he obliterated the fruit. And I kind of realized… he is growing up in my covenant. I didn’t have good fruit and veggies and stuff when my youngest was a toddler… his “backup” food consisted of cheerios, pop tarts (not saying that I don’t still whip that one out every once in a while when I’m desperate), graham crackers, etc. I don’t think that I ever took fruit anywhere for him! And now I’m having to struggle a bit to get him living covenant with us. It’s working, but it’s a slow process of retraining his tastebuds too.